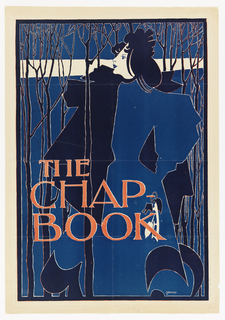 William H. Bradley's Chicago-based publication, The Chap-Book, was considered to be the American public’s introduction to art nouveau style and the British Arts and Crafts movement. He was especially influenced by Aubrey Beardsley’s sophisticated illustrations for The Yellow Book, a journal of art and literature first published in London in April 1894. Like Beardsley, Bradley relied on breaking the compositional rectangle into a series of dominant and subdominant lines, filling in areas with flat expanses of one or two colors. 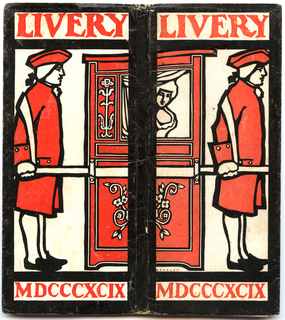 Bradley illustrated covers for Collier's Weekly (for which he served as art editor from 1907–10), Scribner’s Magazine, and Harper’s. We have 2 objects that William Henry Bradley has been involved with. Thomas G. Boss Fine Books.